The Three Hills Summer Celebration Parade is hosted on the second Saturday of July every year by the Three Hills Chamber. At 11:00 AM, colourful themed floats parade their way up Main Street past sidewalks crowded with spectators to Anderson Park, then further on to Golden Hills Lodge: community groups and businesses, area fire departments and emergency responders, bicycle riders, marching bands, clowns, buskers, horses and riders, agricultural equipment and much more – plus lots of safe (but not peanut-free) candy! 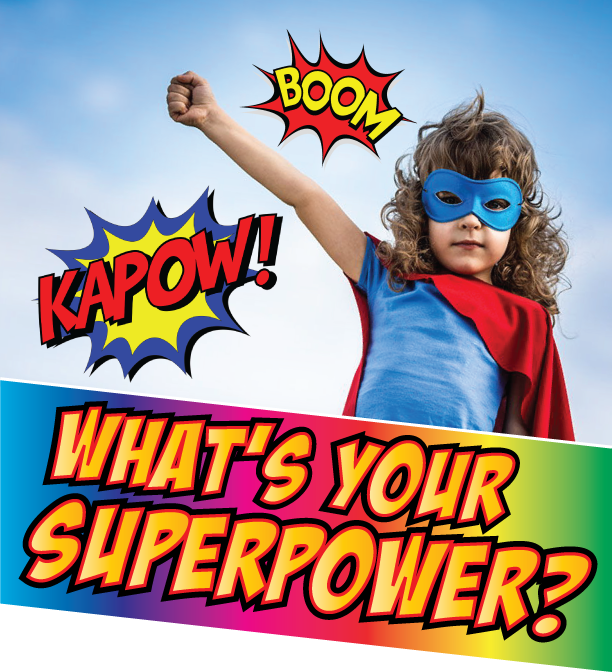 The 2019 parade theme is “WHAT’S YOUR SUPERPOWER? !” Businesses, community groups and organizations will be flexing their special powers and showing you the best of themselves as they parade their floats up Main Street. Parade begins assembling on 1st Ave at 9:00 AM in the areas shown on the map. Judging entries takes place at 10 AM. Parade begins making its way up Main Street at 11 AM sharp. Please follow the directions of the parade marshals from the Three Hills Fire Department. Please distribute only safe candy along the parade route: we encourage using peanut free candy, but all candy must be wrapped. If you’re distributing candy from your float, or promotional items, please have someone walk alongside the float close to the spectators on the sidewalk. No one is permitted to throw items from their float. 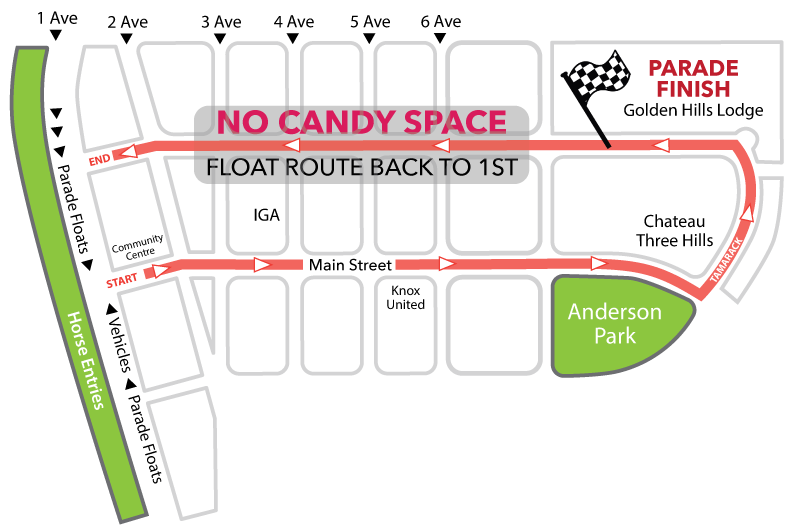 Please try to minimize gaps and keep pace with the other floats along the parade route. Please do your very best to make it all the way to the parade finish at Golden Hills Lodge. It’s a long walk but our seniors truly enjoy watching the parade from the Lodge grounds and windows if they can’t join the crowds on Main Street.